Cryptography is the study of encoding and decoding secret messages, and dates back to the earliest days of written communication (Anton and Rorres, 2005). It is used by government and military intelligences, and also has become important for sending private information, like credit card numbers, securely over electronic channels (Epp, 2004). Cryptography involves encryption of uncoded, plaintext messages into ciphertext, and decryption of ciphertext back into plaintext. An example of an encryption system is the Caesar cipher, which is a simple substitution cipher where each letter in the alphabet is replaced by a different letter (Epp, 2004). It is named after Julius Caesar, since he was the first to make use of it, but had to resort to more complicated encryption systems since this one was relatively easy to crack. Messages are encrypted by changing each letter of the alphabet to the one three places farther along. For example, A becomes D, X wraps around to A, and Z wraps to C. If we convert each letter of the alphabet to a numerical representation, A=1, B=2, ..., Z=26, then given the numeric version of some letter of the alphabet, M, we can obtain the numeric version of the corresponding ciphertext C using (M + 3) mod 26. The receiver of such a message can decrypt using the formula M = (C - 3) mod 26 (Epp, 2004). a. Use the Ceasar cipher to encrypt the message HOW ARE YOU. Finally, we substitute the letters that correspond to these numbers to get the encrypted message KRZ DUH BRX (Epp, 2004). b. Use the Caesar cipher to decrypt the message L DP ILQH. And translate to obtain the original message I AM FINE (Epp, 2004). The Caesar cipher is obviously a simple cipher that can be cracked easily with a simple knowledge of letter frequencies in the English language. Another problem with this cipher is that given knowledge about how to encrypt a message, one can easily decrypt the message. A way to avoid this problem is with public-key cryptography, which openly distributes information about how to encrypt a message, however this knowledge gives no information about how to decrypt a message (Epp, 2004). 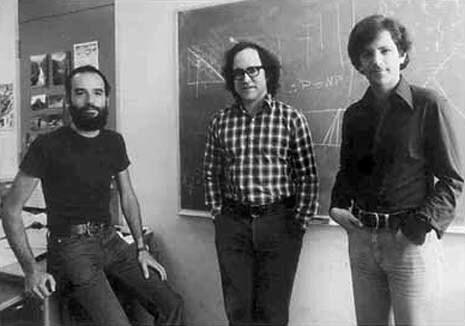 The public-key cryptography system was desgined in 1976 by scientists working at M.I.T. ; Ronald Rivest, Adi Shamir, and Leonard Adleman. It is called the RSA cipher in honor of their work, and in order to understand how it works one must be familiar with properties of congruence modulo n (Epp, 2004). To learn more about the RSA cipher, click here. Epp, Susanna. "Discrete Mathematics with Applications." Brooks/Cole, 2004. Anton, Howard and Rorres, Chris. "Elementary Linear Algebra." Wiley, 2005. Cryptography is a very interesting technique about which I am collecting information to make a pleasing presentation. The above detail is really nice and helpful. Thanks for posting it.